When looking for Charleston South Carolina foreclosure and bank owned homes in West Ashley, not only is knowing the different ins and out of the area is important, but also the difference between a short sale and a foreclosure. Short sales is when the seller goes to the bank with an attempt to get the bank to forgive their mortgage because the property value is less than what is owed. This is a difficult process because of the unknown time frame with regard to how long it may take for the bank to respond to the seller’s request. Short sales can take as long as 3-12 months to find out an answer. Foreclosures are much different. These are bank owned properties and banks typically respond quickly. 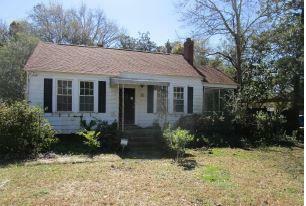 Bank owned and foreclosure properties in West Ashley typically sell in as-is condition. While getting an inspection is very important, it is also important to know that it is not likely that the seller will make any repairs to the property. These are all of the foreclosure and bank owned homes currently for sale the in West Ashley section of Charleston, South Carolina 29407 and 29414.